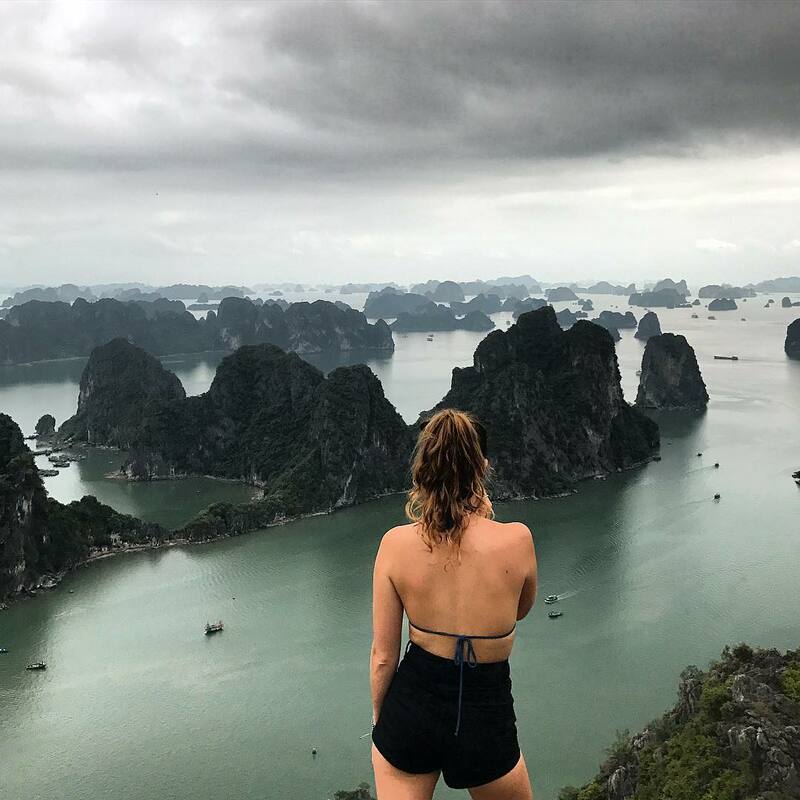 When is the best time for you to travel to Halong Bay? Ehm, I don’t know to be honest because little do I know what you long for. One thing I know for sure is that to pick the time to travel would make or break your entire trip. Local tourists and foreign tourists have different interests and also requirements, due to working culture and the interference of traditional holidays. But here are couple things you need to know to make up your mind. By cold weather lovers, I mean most of them are foreigners. Vietnamese love cold weather too, I’m sure we can find…some. But the love is usually in the sense of hands holding, in the smoked sweet potatoes on the sidewalk stalls. In a nutshell, Vietnamese do not technically love the coldness itself but the romance that blossoms among people in the coldness. And a bay is indeed not a perfect scenery for such romance. In contrast, people from the temperate zone like American, Japan and Australia enjoy Vietnam winter because 22°C on average is nothing compared to freezing cold winter in their countries. Those coldness survivors come to Vietnam and have so much fun in Halong Bay and Lan Ha Bay in tank-tops and shorts. Cruising through Halong – Lan Ha Bay this season is just great experience when people can be relaxed all day long and joining all the activities without worrying about the storms, the spoiling heat, about sweaty and smelling body. Still, prepare warm clothes, just in case. This is low seasons who Vietnamese people because there’s Tet holidays and many other traditional holidays occurring at the beginning of the Lunar Year. Tet holiday is the biggest holiday of the year (usually misleadingly referred to as Chinese New Year) when family unites and celebrates the holiday together. It is as important as Christmas in Western culture but lasts for longer and consists of way more rituals and customs. Therefore it’s the low time for Vietnamese tourist. There’s the transition from spring to summer which turn the bay into a heaven. One thing that might influence your trip is sometimes it’s foggy. Your sight to the place would be somehow limited but it’s not very common so don’t fear. This is the hottest and most humid time of the year in the North – 30°C on average, peak at 40°C. Therefore Vietnamese people flock in beaches and coastal resorts to escape the heat in the center cities. Another reason why July and August is peak season is that this is when Vietnamese students take their summer vacation. 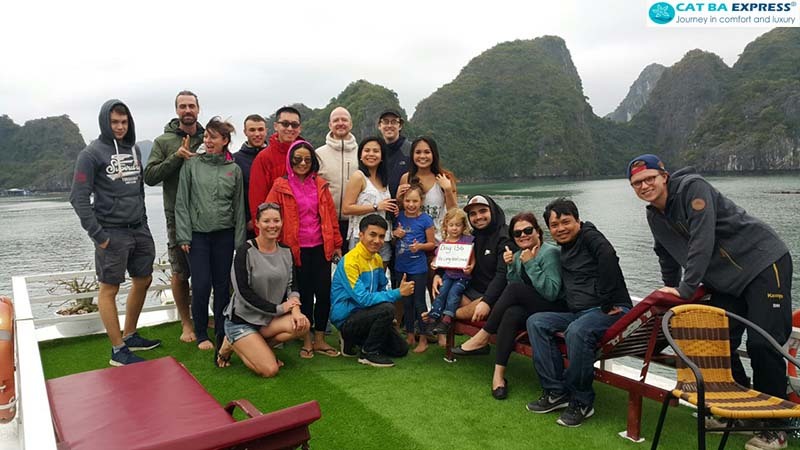 Group trips and multi-generational travel are now the top trend in Vietnam because shared experience of travel is believed to build and strengthen relationship. Meanwhile, it is often considered a low season for international travellers. In this season, outdoor activities are multitudinous: exploring caves and grottos, cruising, kayaking, snorkeling and swimming. The weather is very nice that the splendor of dusk might hold you back to stay here for the rest of your life. The con of travelling on this time of the year is that tickets’ and services’ price will be jacked up. That’s hard to find a suitable tour for a family trip. Not to mention, it’s high season for storms so the earlier you book everything, the more risk you take of cancelling it due to weather. The climate is more gentle with the lower temperature. The sweltering heat is replaced by the cool weather signaling an upcoming fall. Light winds blow more frequently creating cool and pleasant feeling. It’s also school time for students and pupils so Vietnamese young people would not travel and Vietnamese parents cannot travel either. On this time, the sky is clear and the temperature is around 33°C on average. Perfect for foreign tourist to hit the water on a cruise. In this time of the year, weather is pretty human-being-frienly so the need for travelling among Vietnamese people is not so high. Average temperature is 19°C so Vietnamese people are happy staying in cities, working nine-to-five and relaxing in recreation places on weekends instead of going out of town. It’s also high time for end-terms tests in universities so youngsters are busy cramming up with little hope to finish the subjects. 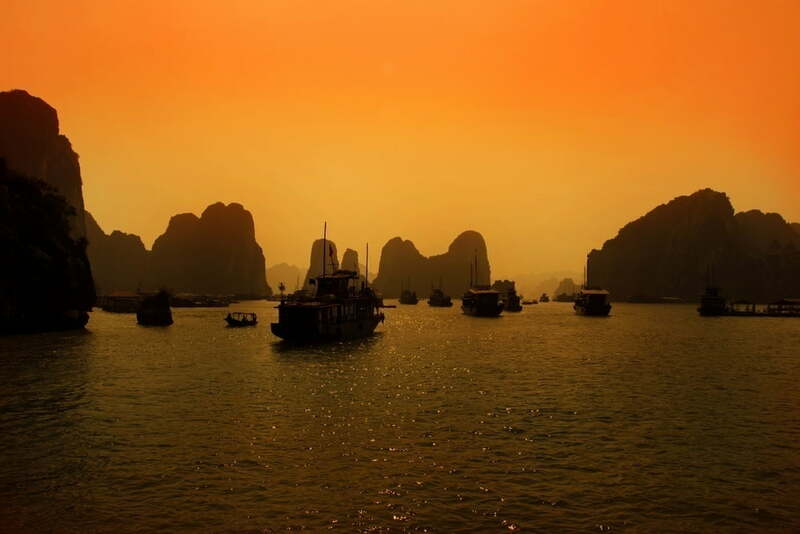 Therefore it is the time where you see the least Vietnamese tourists in Halong Bay. Hang on. Keep reading. The weather is even cooler and more pleasant than the previous period. Cool and fresh breezes blow more frequently, which attract a lot of international travellers. If you crave for a period of peace and quiet in order to take stock of your life, it’s also for sure not a good time either.